Published in Spring 2013 by Sylvan Dell, SHARK BABY is the story of a not-quite-hatched shark, still in his “mermaid’s purse” egg case, who is sent on a stormy journey around the ocean in search of his identity. Will he find out who he is, and discover his secret talent, in time to save himself from danger? 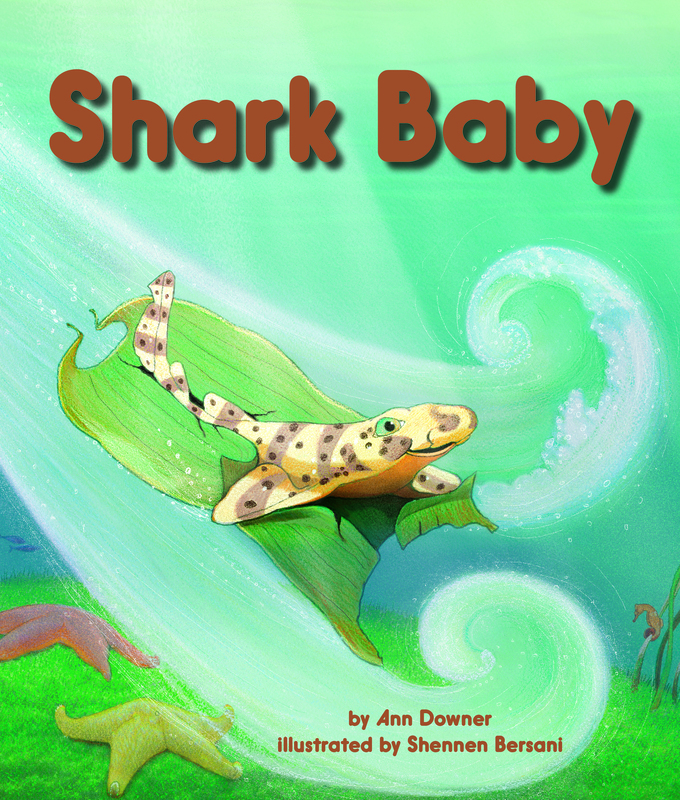 SHARK BABY is available in English and Spanish, and in print and e-book formats. Follow Shark Baby on Facebook, and learn more about the book at the Sylvan Dell website. You can also visit the website of the illustrator, Shennen Bersani.